While I was in Manila a few months ago, I picked this up on whim when we went to Watsons MOA. The weather in Manila was literally making my skin dry since it was so humid. I continued using this particular moisturizer when I came back here in Cebu. So it's high time that you know what I think about it. Provides double sunscreen protection against UVA/UVB rays with a light finish for everyday use. Has SPF15 UVA/UVB filters. Effective double sunscreen protection as it hydrates the skin. Use daily for protection against the harmful effects if the sun. Apply evenly on the face and neck after cleansing. Overall, I can say that I like this moisturizer because it kept my skin hydrated and moisturized when I was in Manila. I only noticed that tiny white residue left on my face when I was using it here in Cebu since it wasn't as humid as compared in Manila. The product was easily absorbed on my skin, thus making my face feel instantly soft and smooth. Would I recommend this? Yes, especially to those with dry skin. 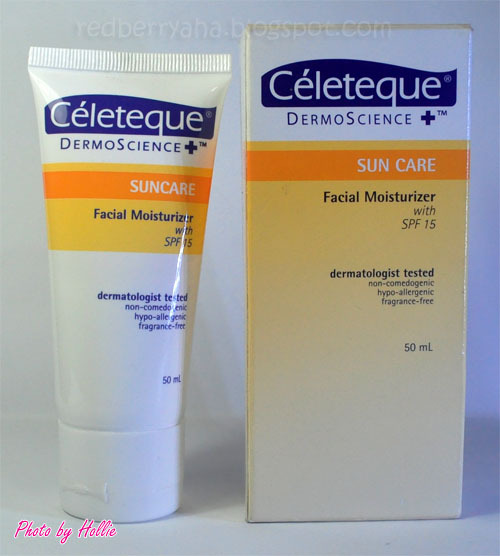 But I still prefer to use my Celeteque Hydration Facial Moisturizer since I really like the gel-like texture it has. 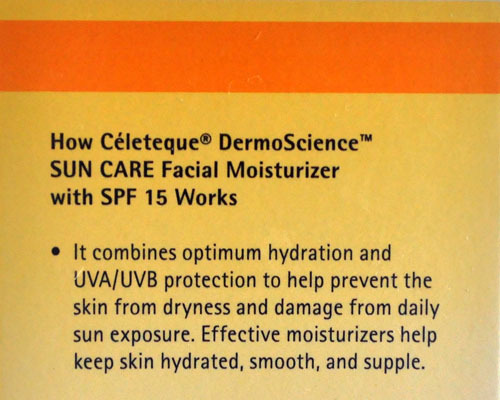 How often do you use your Celeteque Hydration Moisturizer? Have you tried using their acne spot corrector gel? @Andy, I use it on most days, but not everyday. only when I feel like my face needs it. as for their spot corrector, I haven't tried it. Pde po b to gamitin kahit gabi?